Today started off on a good note with muffins and yogurt for breakfast. It was off to another and our last day of diving. 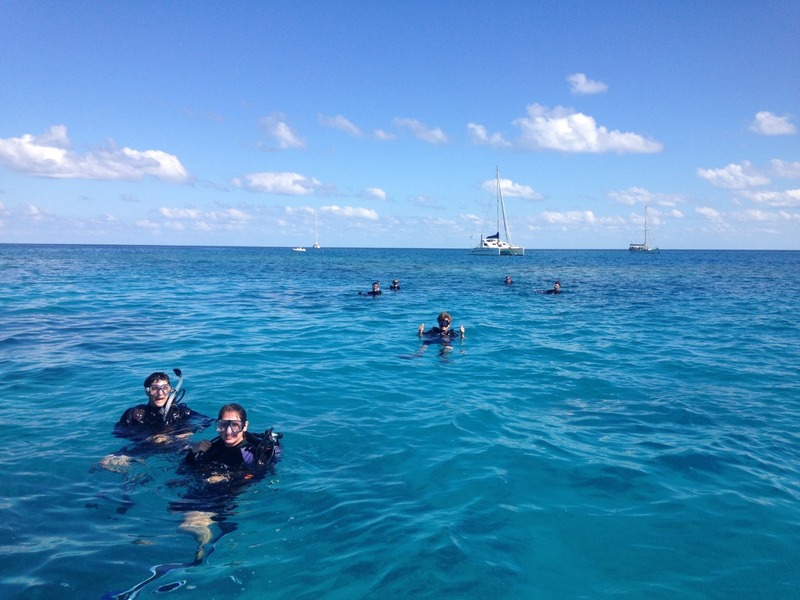 This time the staff was up at 4:30 to move the boat to the inner portion of the outer Great Barrier Reef so that we could all dive. 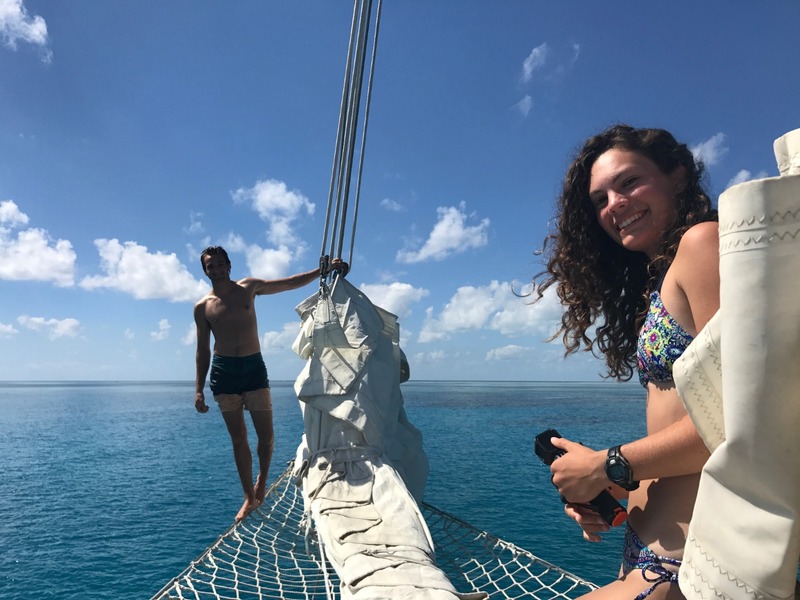 Our dive site, Bait Reef, was occupied by several other boats including a Captain Brent who was kind enough to let us use his own personal mooring made for larger vessels like Argo. 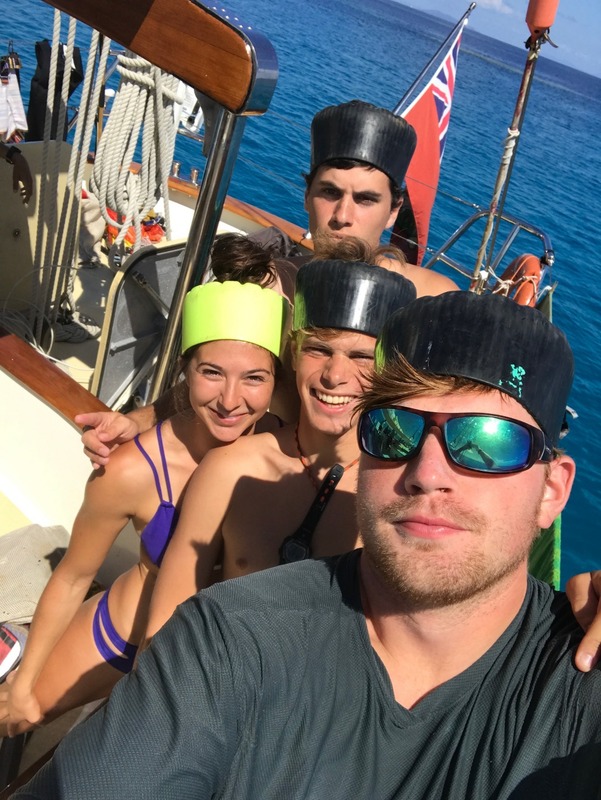 This meant that we didn’t have to stand off the whole day and were able to jump off and snorkel around Argo when we weren’t diving or studying. As soon as we arrived, a few fearless giant trevally started hanging out under the boat. While on the dive we reach a maximum depth of 70 feet and spotted moray eels, sharks, sea turtles, and a whole bunch of huge fishes. There was even a massive ray hanging out just off the stern. There were definitely portions of the reef that had magnificent coral and lots of life but many sections were bleached or dead. It was both interesting and sad to witness firsthand the damage to coral reefs, the Great Barrier Reef in particular, that we have been learning about all semester. Unfortunately, our time on the reef was not as long as we would have liked. After everyone was back on board, we prepared for passage prep for our finals passage to Cairns, which is accepted to take about two days. While underway Evan and I attempted at free styling and Shelby played the new Thomas Rhett song, which she is in love with. Overall, it was a pretty relaxing day on Argo with diving, swimming, and of course some tanning.